Home / ENGLISH / செய்திகள் / US to back Sri Lanka to fulfill commitments under UN resolution! US to back Sri Lanka to fulfill commitments under UN resolution! 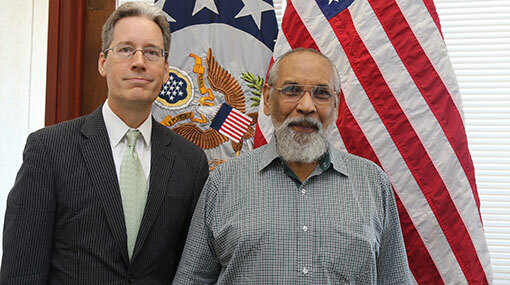 Chargés d’affaires at the US Embassy in Colombo, Robert Hilton today tweeted, saying the commitments to the resolution facilitate Sri Lanka’s expanded relationship with the US and many others nations. The Tamils have urged an international mechanism to probe rights abuse in the face of strong resistance from the Sri Lankan government to allow foreign judges and investigators to hear the cases of abuses.